Heading the stellar field is the world champion Magnus Carlsen. The table below shows the ten competitors that will participate in the 2017 London Chess Classic in order of their URS™ (Universal Rating System) ratings as at October 2017. 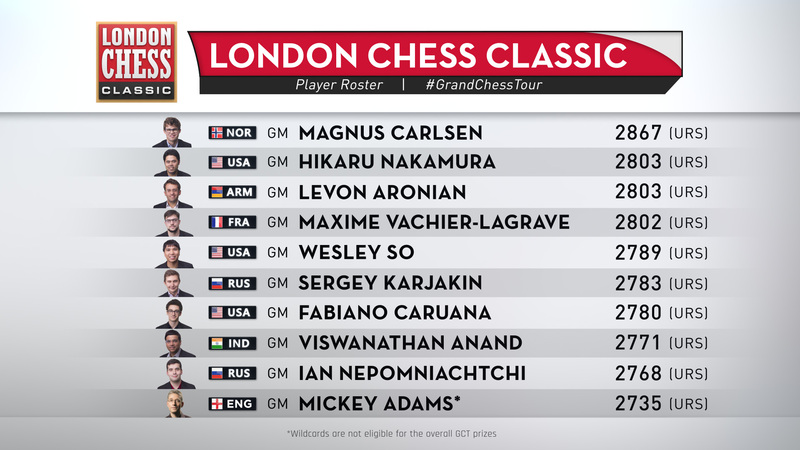 Detailed player profiles for each of the ten competitors have recently been added to the official tournament website and are accessible at londonchessclassic.com.